Have you ever been locked out of your home, car or place of business? If this is the case, you can benefit from our top-quality Innisfil Locksmith services. We are a highly respected local locksmith that provides complete solutions for car lockouts and key changes. Whether you’ve lost your keys or wish to change your locks, you can rely on us to provide you with world-class service at convenient rates. From Alcona, Gilford and Sandy Cove to Stroud and all other neighborhoods in Innisfil, our technicians can help everyone in town. 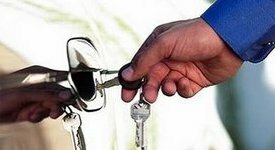 We are qualified when it comes to residential locksmith services, business solutions and car lockouts. In each case, we offer 24/7 emergency service and a guarantee of customer satisfaction. We have invested a great deal of time, energy and resources into making ourselves the best-equipped 24 hour locksmith company in Ontario. As a result, we are able to offer our clients fast, professional service for all of the most common problems they face. If you live in Innisfil and find yourself accidentally locked out of your home, we can get your door open. As a highly successful commercial locksmith, we can do the same if you happen to find yourself locked out of your workplace. One of the most useful services we offer is our auto locksmith service. We are equipped to offer assistance with nearly every car and truck on the road. Feel free to contact us. Our professionals are equipped with high accuracy, diagnostic tools and computerized special systems to program and cut new car keys, but also to take care of any other high security lock. We improve the level of your security by changing, rekeying and installing home and commercial locks. Our locksmith service covers everyone's needs and assistance is provided quickly. If you are looking for a trustworthy professional, give us a call and find out what makes our Locksmith in Innisfil the best choice in town!